Part of offering online bookings on your website is the ability to accept payments for those bookings! To do this, you need to set up a payment gateway on your website, but how do you know which one to choose? If you operate a tour or activity that is heavily dependent on weather, you may want to use the Rezdy Vault instead of a traditional paid payment gateway. Here’s what you need to know about the Vault. 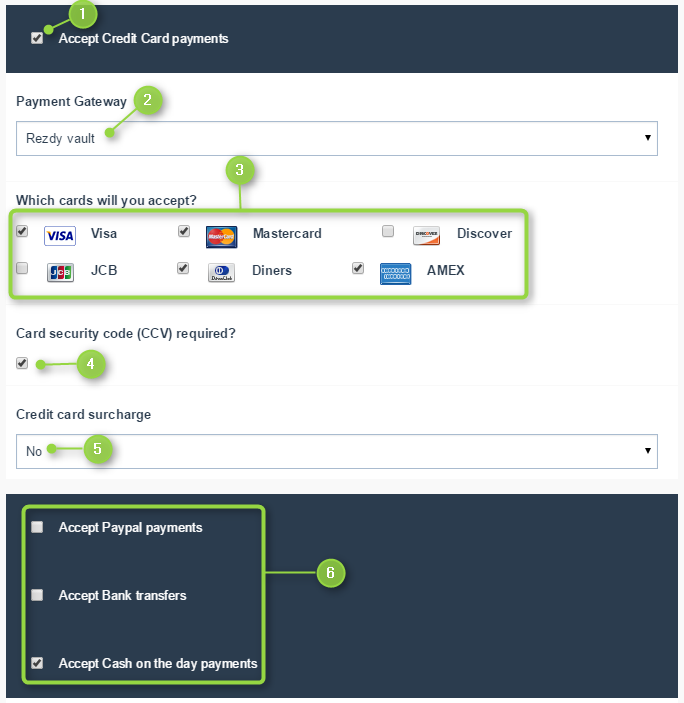 What is the Rezdy Vault payment gateway? If you don’t want to use a merchant account, you can use a deferred payment processing system in conjunction with your external point of sales (POS) system. Rezdy Vault is one example. Rezdy Vault provides free secure storage for credit card details but does not process payments. You can complete transactions manually through your POS machine or other external payment solution. It’s not a payment gateway, but it provides a secure credit card validation and storage that can be used with your POS system. The advantage here is there’s no additional cost because Vault stores the customer data, and then you manually process it. You can avoid the hassle of charge-backs by waiting to charge the card until you’re sure what to charge. If they don’t show up for some reason, you can easily apply your cancellation fee. Click here to watch our webinar about accepting credit card payments. How can you set up the Vault? Under Settings > Payment Options, you can select Rezdy Vault. How can you mark an Order as paid when using Rezdy Vault? Say your customer has booked online, and you’ve used Rezdy Vault to securely store their credit card details for later processing. The money has come through as planned, and you’d now like to mark the Order as paid. 1. Within the Order, scroll to the Payment section.